African Union Headquarters; December 7, 2018: The African Union Commission has reaffirmed its full support to the African Union Administrative Tribunal in its primary function of adjudicating disputes between staff members and their employer, the Union. Receiving Justice Andrew Nyirenda, President of the Tribunal, African Union Commission Deputy Chairperson Amb. Kwesi Quartey, underscored the importance of transparency and accountability in the fulfilment of its function. “Justice must come first. Whenever it is possible, a dispute must be resolved amicably, he stated. “The credibility of the Tribunal to ensure justice and rule of law should be our cardinal aim. That is the only way to create the Africa we want”, he added. Justice Nyirenda apprised the Deputy Chairperson of the progress made by the Administrative tribunal in reviewing its Rules of Procedure. “The Tribunal is on course. We have disposed of a great backlog of cases. We are very optimistic that developing improved Rules of Procedure will enhance the smooth functioning of the Tribunal”. The Rules of Procedure are being reviewed to enhance the work of the Tribunal. The AU Administrative Tribunal has made commendable progress in recent years. More cases filed by staff members of the African Union are being heard. In 2017, the Tribunal held open sessions during which three judgments were delivered. In 2018, the Tribunal determined three applications and issued four orders relating to implementation of Tribunal decisions. The Tribunal is composed of three Judges appointed by the Executive Council of the African Union for a term of four years. The Tribunal is competent to hear applications relating to violation of the Staff Rules and Regulations on employment and review of administrative action. Justice Nyirenda, the Chief Justice of the Republic of Malawi, was accompanied by Lady Justice Shaheda Peeroo, retired Justice of the Supreme Court of the Republic of Mauritius. 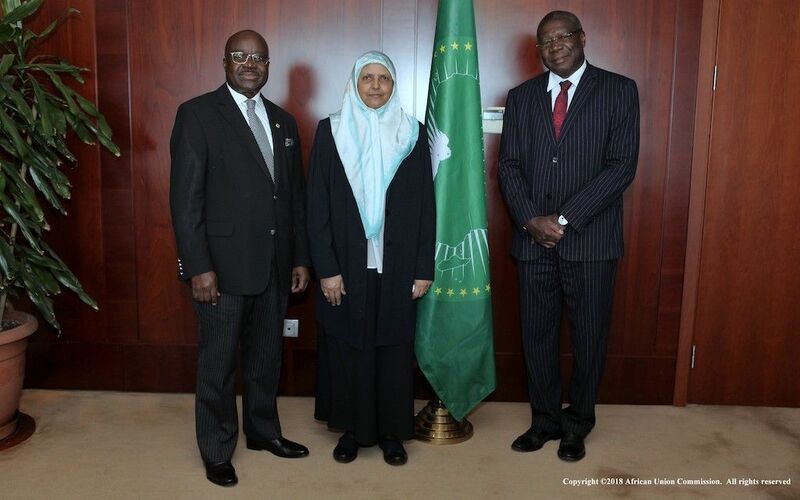 They both celebrated the contributions made to the Administrative Tribunal by Judge Aliou Ba, a former judge of the Administrative Tribunal and Chief Prosecutor of the Islamic Republic of Mauritania, who passed away in September 2018. The process of filling the vacancy is underway.